Why Is Liver Detoxification So Important? The liver is the largest organ in the body (after the skin) and is found in the upper right portion of the abdominal cavity. The liver has been identified as having over five hundred vital functions. Responsible for the production of bile which helps carry away waste and breaks down fats in the small intestine during digestion. Bile is stored in the gallbladder. Stores glucose in the form of glycogen which is converted back to glucose again when energy is needed. Metabolism of protein and carbohydrates. Stores vitamins A, D, K, B 12, iron, copper and folate. Makes proteins called blood clotting factors. Production of cholesterol and special proteins to help carry fats through the body. Helps resist infections by producing immune factors. The liver is the primary organ responsible for detoxification. If we examine the liver under a microscope, we will see rows of liver cells separated by spaces which act like a filter or sieve, through which the bloodstream flows. The liver filter is designed to remove toxic matter such as those in the list above. The liver filter is called the sinusoidal system, and contains specialized cells known as Kupffer cells which ingest and break down toxic matter. These toxic, harmful substances can damage the delicate lining of the blood vessels, leading to hardening and blockage of the blood vessels. They can also increase the workload of the immune system leading to allergies and inflammation in the cells. Because the liver filter and the spleen filter can remove and destroy cancer cells, these organs must be kept healthy to reduce our risk of cancer spreading. This is vital for good health because we certainly do not want these dangerous products building up in the blood stream and invading the deeper areas of the body. Many environmental toxins and hormones are fat-soluble, and do not dissolve in watery fluids such as blood, bile and urine. These fat-soluble toxins can only be broken down by the liver cells, which contain enzymes to convert the fatty toxins into water-soluble forms. The liver cells perform this detoxification of fatty toxins via the two step detoxification pathway. The second detoxification step requires amino acids (building blocks of protein) and sulfur. Sulfur is found in the following foods: broccoli, cabbage, cauliflower, eggs, garlic and onion. Methyl sulfonyl methane (MSM) is a concentrated source of organic sulfur. It helps to enhance liver detoxification and also helps to reduce joint pain. It is only possible for these fatty toxins to be eliminated from the body if they are first converted to water-soluble waste products. Once they are water-soluble, these toxins can be eliminated from the body in watery fluids such as the bile, sweat, saliva and urine. If the liver is not able to perform its detoxification of these fatty toxins efficiently, these toxins will be deposited into the fatty areas of the body. If you have a fatty liver, large amounts of these toxins can be deposited inside the fatty liver cells where they stagnate and further compromise the processes of the liver cells. The fatty toxins will also be drawn to other fatty areas of the body such as the brain, the hormonal glands, and fat deposits in the buttocks, abdomen and thighs. This makes it harder to lose weight even while dieting! If you are not producing enough glutathione, you will not be detoxifying adequately. Glutathione is your body’s most powerful antioxidant and it reduces inflammation in the body. That means it’s very helpful for those with autoimmune disease. Selenium and n-acetyl cysteine (NAC) are required for glutathione production. Why is regular detoxification so important? To explain what liver detoxification is, we can use the analogy of the oil filter in the engine of a car. The oil in the car, over time becomes dirty as a part of the general day-to-day wear and tear. If this filter is not maintained and changed regularly, this filter becomes dirty, blocked and over-worked, causing malfunction and eventual engine breakdown. This is exactly what happens in the body and can cause a range of symptoms so wide-spread they are often not identified as being related to each other, let alone related to the liver. There are no drugs that can cleanse the liver of toxins or repair the damage to the liver cells just as there is no mechanic shop that you can take your liver to for an “oil change”. 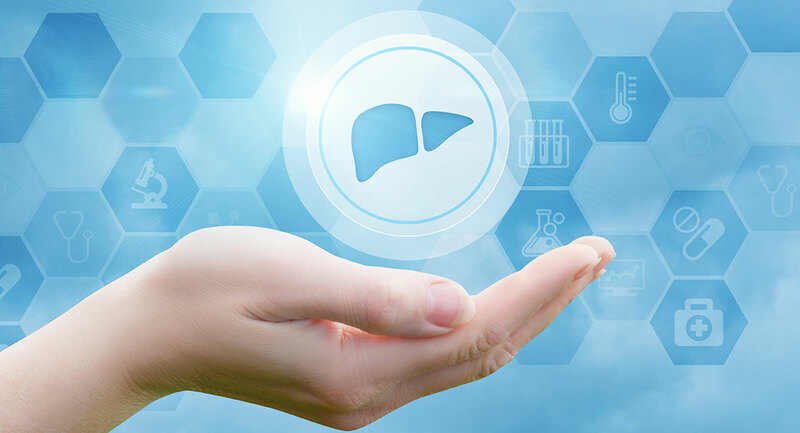 To cleanse and repair the liver we need to use the principles of nutritional and complementary medicine behind which there is a wealth of scientific evidence and clinical experience. By following the guidelines in my book The Liver Cleansing Diet, you will be able to keep your liver filter healthy and clean. The liver tonic Livatone Plus contains the nutrients your liver needs to carry out efficient phase 1 and phase 2 detoxification. Although it is important to keep the intestines moving regularly and to sweep their walls with high fiber and living foods, it is important to remember that the bowels are really a channel of elimination and not a cleansing organ per se. In other words the bowels cannot cleanse, filter or remove toxic wastes from the blood stream- only the liver can. Fibertone is a gentle, non-habit forming laxative made of plant fiber, to sweep the colon clean. If you are not having between one and three bowel movements each day, you may benefit from some natural plant fiber. It is not difficult to keep your liver filter clean, and the enormous health benefits make it truly worthwhile.